(Bloomberg) -- Les Moonves, the longtime CBS Corp. chief executive officer ousted over allegations of sexual misconduct, lost out on stock awards worth an estimated $34.5 million after the company determined that his behavior warranted termination for cause. The awards, granted to Moonves in 2018, were forfeited after a board investigation was concluded late last year, according to a regulatory filing Friday. In January, the former media mogul requested that his termination be resolved in binding arbitration. Moonves received around $4.58 million in total compensation for his work in 2018, including $2.93 million in salary. Companies routinely withhold deferred compensation granted to executives who leave their jobs prematurely or are terminated after violating internal policies. Moonves, 69, stepped down last year following reports that he sexually harassed and abused a dozen women. He has denied the allegations. 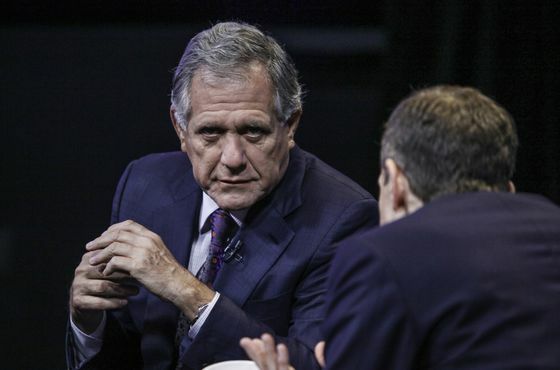 The board denied a $120 million severance payment to Moonves in December, saying he flouted company policies and failed to comply with an internal probe. The move followed a four-month-plus investigation that also delved into the corporate culture at the broadcast network.